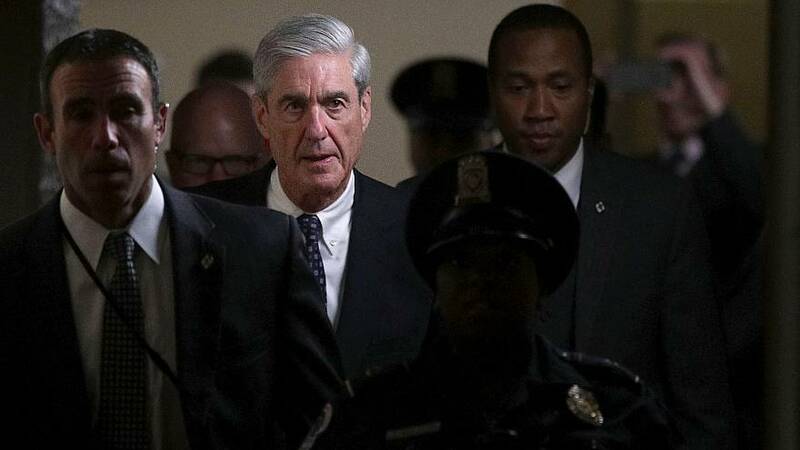 WASHINGTON — Robert Mueller's federal grand jury is continuing its work even though the former special counsel has submitted his final report to Attorney General William Barr, a government prosecutor said Wednesday. Assistant U.S. Attorney David Goodhand made the admission during a court hearing in Washington, D.C. about unsealing new details in a mysterious case involving an unidentified foreign company swept up in Mueller's probe. U.S. District Chief Judge Beryl Howell asked Goodhand if the grand jury had concluded their investigation, given the fact that Mueller completed his probe when he gave his report to Barr. "No," Goodhand said in response. "I can say it's continuing robustly." Wednesday's court motion was brought by the Reporter's Committee for Freedom of the Press. The group argued that since Mueller had concluded his investigation, more details about the company should be made public. Barr, in a letter to Congress, said Mueller found no evidence anyone associated with President Donald Trump's campaign "conspired or coordinated" with Russia to influence the 2016 presidential election. However, Barr said Mueller reached no conclusion on whether the president obstructed justice, leading Trump to claim he was exonerated.